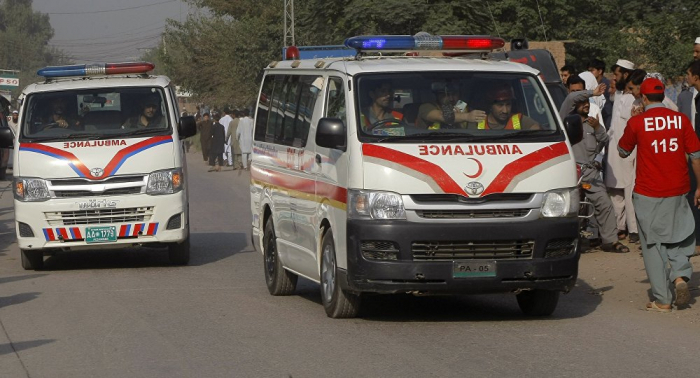 According to Deputy Inspector General (DIG) Abdul Razzaq Cheema, at least 16 people including one Frontier Corps soldier were killed and 13 others injured in an explosion on Friday morning in the Pakistani city of Quetta, near a residential area where minority Shiite Muslims live. In the meantime, Geo News reported, citing sources, that at least 30 were wounded by the blast. At the moment, no group has claimed responsibility for the bomb attack. Addressing the incident, Balochistan Chief Minister Jam Kamal stated that the perpetrators and their leaders would face consequences, adding that "the enemy of humanity is behind this act of terrorism". Quetta is the capital of Balochistan Province, located on the border with Afghanistan. Numerous terror groups operate in the region, which saw several fatal bomb attacks last year.